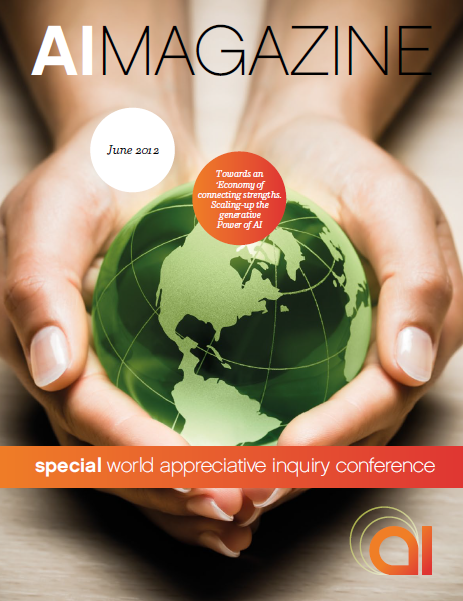 The Conference organising team and the Editorial Staff of the AI Magazine are pround to announce the release of the World Appreciative Inquiry Conference 2012 Special. For all who attended the conference, this beautifull magazine will bring memories and insights back in mind. For those who missed the conference, you’ll find a great overview of all the happenings, together with a lot of stories, reports, great pictures and lots of links to explore more. 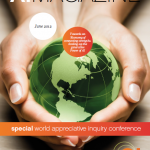 2 Responses to Special AI World Conference Magazine is out! Thank you, thank you, thank you for a great piece of work in putting together the significant happenings and papers presented by the speakers. Congratulations to the team! Incidentally, are the video recordings of the sessions by the speakers available? I am interested in watching Leo Bormans’ please. If there is a link to this and the sessions by any other speakers, that would be a bonus!